In a perfect world, we would never have to change plans or delay a trip or vacation. Since plans do change and you may need extra protection to cover your travel-related expenses, there is travel insurance. One company to consider for your travel insurance needs is CSA Travel Protection Insurance Company which has been providing protection for travelers since 1991. The company’s U.S. operations are based out of San Diego, California. CSA is owned by Europ Assistance (EA), which is a worldwide organization providing emergency assistance services and has been in business since 1963. CSA has an A (Excellent) rating with A.M. Best Insurance rating organization. The customer service rating of CSA is good as CSA as it has maintained its “A+” rating with the Better Business Bureau (BBB). The BBB file for CSA was opened in 1994 and has been an accredited business since 2009. There are a total of 32 negative customer reviews with 127 total customer complaints. Of those complaints; there were 87 with products/services, 17 with advertising/sales issues, 12 with billing/collection issues, 8 with guarantee/warranty issues and 3 were delivery issues. Also, of these complaints, 22 were resolved to the customer’s satisfaction. The company has a composite score rating of 3.68 out of 5 stars. CSA travel insurance plans are not available for travel to Cuba. The company also strongly urges customers to read description of coverage in their policies regarding traveling to Liberia, Guinea and Sierra Leone as there is no coverage for any losses caused from the Ebola epidemic in these countries. The company has strong financial strength and customer service ratings from the BBB. CSA Travel Insurance has a 10-day free look clause meaning that you can change your mind within 10 days and receive a refund as long as you have not yet left for your trip. There are only two travel insurance plans but they both have comprehensive coverage options, making it an easy process to find the right travel insurance plan and buy your policy online. CSA provides its customers with a 24/7 emergency assistance hotline available from anywhere in the world. There are attractive optional service options including concierge, identity theft resolution, and pet relocation services. Read your description of coverage carefully. If you have homeowners or renters insurance, those policies are considered primary and CSA will only pay what your primary insurance policy does not pay. Some complaints from policy holders have stated that the policy language is confusing as to what is and is not a valid reason for cancelling your trip. It is a good idea to check and see how much coverage you have through other insurance policies before purchasing additional travel insurance. 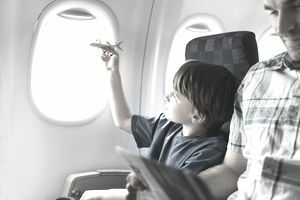 If you feel you need additional coverage than what you already have, CSA Travel Insurance is a good option to consider. They have solid financial strength ratings and have an “A+” rating from the Better Business Bureau. CSA travel insurance plans are customizable according to your travel insurance needs as well as offering attractive optional features. To learn more about the travel insurance plans available or to receive a quote and purchase your policy, you may visit the CSA Travel Insurance Company website or call toll-free (800) 711-1197 in the United States. You can also submit questions and comments by email at csa@csatravelprotection.com.